Lewis Apartment Communities is actively recruiting for a full-time, personable and responsible individual for the important position of NIGHT SERVICE MANAGER. This position would be located at our large, beautiful 222-unit apartment community Carmel at Woodcreek West in Roseville. Your days off would be Sunday/Monday. This full-time evening and night-time hour positions (8-hour shifts typically between 5pm-3am) would provide supervision of large apartment communities by enforcing rules and regulations in a positive, proactive manner. Parking enforcement, property patrols, minor maintenance repairs, and an overall "customer service-first approach" will be just part of these positions' responsibilities. In addition to a competitive hourly salary, Lewis offers full medical and dental benefits, 401k savings plan with company match, apartment discounts, paid holidays, vacation time, educational reimbursement, continued training, advancement opportunities and more! Join the Lewis Group of Companies and you will be an important part of a winning team with a long history of successful apartment development and management. Our dedication to service is the key to a successful and rewarding future. This culture of both excellence and camaraderie is what makes Lewis a wonderful place to grow your career. 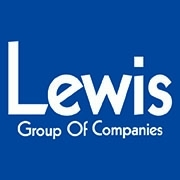 Join the Lewis Group of Companies and become part of a winning team with a long history of successful development and management. Our dedication to service is the key to a successful and rewarding future. Our culture of excellence and camaraderie is what makes Lewis a wonderful place to grow your career.